At a time when AT&T wants to ditch millions of copper lines, and when Verizon apparently want to phase out of the wireline business and is even selling off FiOS, CenturyLink is taking a different approach. The company has begun building gigabit fiber in a few cities and has announced plans to build in many more. CenturyLink has already deployed gigabit fiber to some residential customers in some parts of Omaha and Las Vegas, and to some businesses in Salt Lake City. The company has announced plans to provide new residential gigabit fiber in new markets including Seattle, Portland, Salt Lake City, Denver, Minneapolis / St. Paul, and in Columbia and Jefferson City in Missouri. Additionally the company plans gigabit fiber for businesses in Spokane, Sioux Falls, Colorado Springs, Albuquerque, Phoenix and Tucson. This initiative makes CenturyLink the only large incumbent telco that is investing in fiber. And since the cable companies are mostly upgrading speeds in response to competition, this make CenturyLink the only large ISP that is being proactive with fiber. With that said, I have no idea how much fiber they are actually going to build. CenturyLink inherited a company from Qwest with a very ugly balance sheet and which still today does not spin off enough cash to make a huge fiber investment. And so there is the possibility that they are building a little fiber in each market for press release purposes and not intending (or able) to finance the construction of a lot of fiber in the same way that Verizon invested in FiOS. But in reading between the lines I think they really want to invest in fiber. CenturyLink inherited possibly the worst local network in the country when they merged with Qwest. Qwest had been in marginal financial shape for so long that they had let the networks in most markets deteriorate significantly. Qwest instead invested on long-haul and large city downtown fiber to make money in transport, long distance and sales to large businesses. And they did okay in those areas and have one of the best nationwide fiber networks. CenturyLink has the most to lose of the large ISPs. AT&T and Verizon have become cellular companies that also happen to be in the landline business. The cable companies have captured the lion’s share of the residential data market almost everywhere. 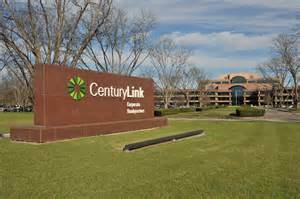 But CenturyLink has no fallback if they lose landline-based revenues. They inherited a network that lost the residential battler everywhere in head-to-head competition with the cable companies. And in every large city they have significant competition for business customers from CLECs, cable companies and fiber providers. So I think CenturyLink has hit upon the right strategy. In every market (or at least in every neighborhood) there is likely to only be one fiber provider who is willing to build to everybody. Over time, as households and businesses want more data, fiber is going to be the only long-term network that will be able to satisfy future data demand. I keep hearing about having gigabit wireless products someday, but the physics of that product will require mini cell sites that are close to customers. And that means having a cellular network that is fed by neighborhood fiber. Anybody who thinks that the cellular companies are going to be able to supply that kind of bandwidth with the current cellular networks doesn’t understand the physics of spectrum. I wish CenturyLink well in this endeavor. Most of the potential markets want fiber and the company will do really well if they can find the financial resources needed to build significant fiber. Their copper networks are dying and there is very little they can do about that. There are currently some industry patches on copper such as using two copper pairs joined together, but these are band-aids being applied to a dying network. Looking twenty years into the future, if CenturyLink doesn’t build fiber they won’t have much left. I am still surprised that Verizon is selling off mature cash-cow FiOS fiber networks like they recently announced. But Verizon has obviously been taken over by the wireless guys who seem to want them out of the wireline business. But CenturyLink has no other options, so I think they either go to fiber or watch their networks and their business slowly die. Upon seeing their press release last August, I dismissed it as a 1990’s pump and dump press release intended for New York investors. The way I read the press release, it looked like they could simply re-brand their 2000-vintage metro optic ethernet (MOE) that serves downtown Denver and high end business parks as “gig city”. Fast forward to now as I see the horizontal boring crews making their way towards my home and, per CenturyLink announcements, they actually ARE deploying fiber in my neighborhood. This means I will have to a) eat my hat and b) subscribe to their $150/month gigabit service. Frank: That is the best kind of gotcha possible. I thought exactly the same thing a year ago, but they really are building fiber. Note me as jealous of the gigabit!